Though he seldom did do in football, Jeremy Foley always loved to challenge his Gator basketball team with a tough out of conference schedule. And it looks as though Scott Stricklin will be no different. And after that, it only gets harder. Florida won’t have much time to find itself before things get serious with a November 6 trip to FSU. The Gators will then return home for Charleston Southern and La Salle before heading to the Bahamas. A quick return home for a stray game against North Florida is followed by a return trip to New York City’s Madison Square Garden for the Jimmy V Classic on December 4, this time against West Virginia. It’s worth noting that the Gators have great memories with both the opponent and the venue; Florida hammered West Virginia 88-71 the last time they met in Mike White’s first season, and of course orchestrated one of the greatest game winning shots in school history at MSG in the Sweet 16 against Wisconsin two years ago. Florida also used a game ending defensive stop to hold off Memphis in the Jimmy V Classic in the same arena five years ago and lost to Duke in the event two years ago. Then things get really interesting. Florida returns home for a December 8 battle with Michigan State in the return game from three years ago, a 58-52 Spartans win in East Lansing. The Gators will then presumably catch their breath against Mercer before squaring off against Florida Gulf Coast in the Orange Bowl Classic in Sunrise. And then the Gators take on Butler, possibly for the second time of the year pending the results in the Bahamas. Florida’s grueling out of conference slate comes to an end twenty eight days after hosting Butler when they travel to the Lone Star State to face Texas Christian in the SEC/Big 12 Tournament. Florida will probably add another cupcake opponent or two between now and November, but that shouldn’t take away from the absolute gauntlet they’re going to have to navigate through in order to post a respectable record. 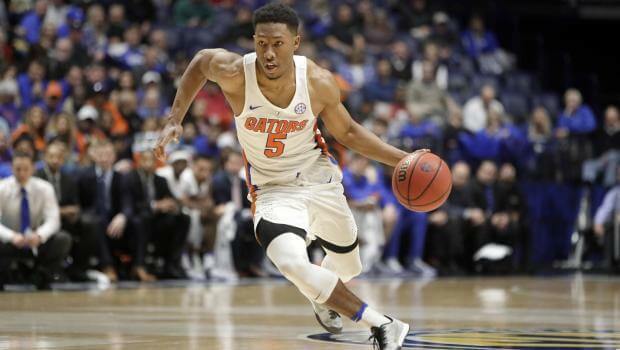 The good news is that the NCAA selection committee is more likely to forgive a larger quantity of losses given how Florida challenged itself in the out of conference portion of its schedule. If this Gator team is any good, it all makes for an exceptionally fun season of watching Florida stage battle royales with the sport’s fellow heavyweight. If not, then this team is set up to be exposed, embarrassed and exploited time and again. And Florida wouldn’t have it any other way.